This entry was posted in Uncategorized and tagged beauty, Cervantes, heart, love, Miguel de Cervantes Saavedra, quote, quotes, visual. 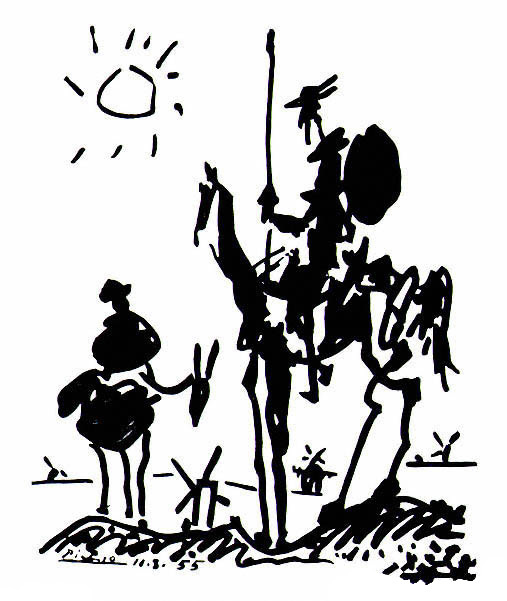 My mom had a copy of Don Quixote with the same image. It it Dali? bird song does not have to inspire love, but is indeed pleasant to listen to.